When Mini first announced their plans to bring a larger Cooper to market, many were not pleased; a larger model would go against everything the Mini brand stands for. But here’s the thing: it completely works. A maxi Mini is exactly what the brand needed to capture a wider audience, comprised mainly of those who loved the idea of a Mini but just couldn’t quite fit their lives into a low-to-the-ground two-door. 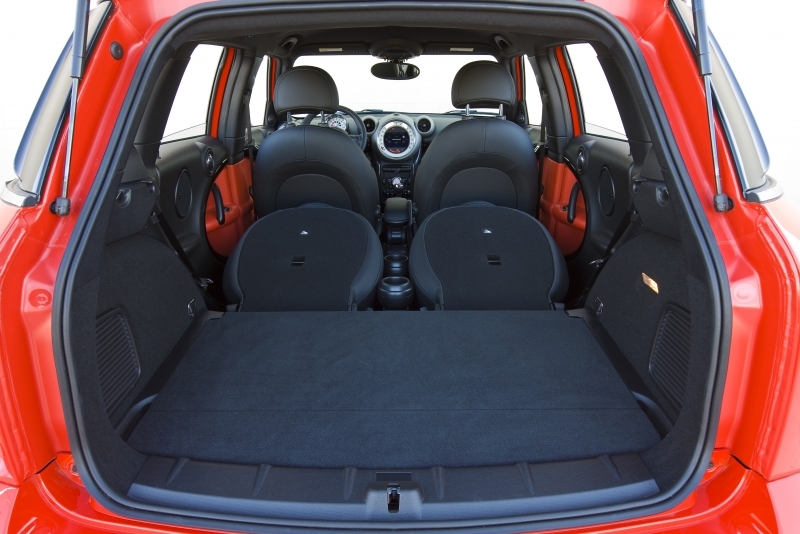 The Countryman is bigger – just a moment sitting in one of the two rear seats will confirm that – but not so much so that it doesn’t seem relatively tiny next to the larger SUVs and trucks on the highway. Four doors and the option of four-wheel drive prove to be the two most important new developments; expect to see Countrymans heading up mountains with ease. The enlarged size does compromise performance a tad, because – let’s face it – this is no longer the little go-kart that could. However, with a new fan-base come new priorities, and we think that the Mini Countryman is just the car to slot in above the iconic Cooper. Mini styling, while not for everyone, continues to be in top form for the Countryman, and it avoids crossing into ‘goofy’ territory. Its size adds considerable functionality to the vehicle, despite it being only 15 inches longer than the Cooper hardtop. Rear folding seats and an under-floor storage compartment in the trunk are just two features that make the Countryman versatile. Mini Connected enables direct iPhone integration, with Twitter feeds, news updates and web radio at your fingertips. Some will still consider a larger Mini to be sacrilegious and the antithesis of what Mini stands for, especially because its size does slightly dilute performance. The standard middle rail system that splits the two rear seats is a little odd and won’t be necessary – or even interesting – for quite a number of Countryman buyers. Road and wind noise is considerable and disrupts the cabin’s comfort level. While the Mini Cooper is known for its go-kart feel, the Countryman is more refined and well mannered than its brethren. Everything about it feels a little more grown up, which has its pros and cons. The same engine choices found in the Cooper are available in the Countryman, but the newest member has an additional 400 or so pounds that need to be scooted around. They’ve squeezed out a little more horsepower and torque, but the result is slightly slower acceleration across all trims, though the turbocharged Cooper S continues to deliver that sportier feel. Still, both transmissions are strong. The automatic shifts smoothly and holds gears long enough for the driver to wring plenty of power out of it, but it’s the manual that adds more to the performance overall despite its light throws. Handling is good, though there’s a bit more body roll than you may expect from a company that makes such planted vehicles, and it seems to be a more forgiving ride in terms of comfort. With more space throughout the cabin and more visibility for all occupants, the Countryman does much to persuade you that it’s the better choice for the more urbane Mini buyer. The base Countryman Cooper is powered by a 1.6-liter inline-four that produces 121 horsepower and 114 lb-ft of torque. For the more performance-minded, there is the Cooper S, a turbocharged Countryman that ups power to 181 horsepower and 177 lb-ft of torque. All Countrymans can be had with either a six-speed manual or automatic, including the all-wheel drive All4. 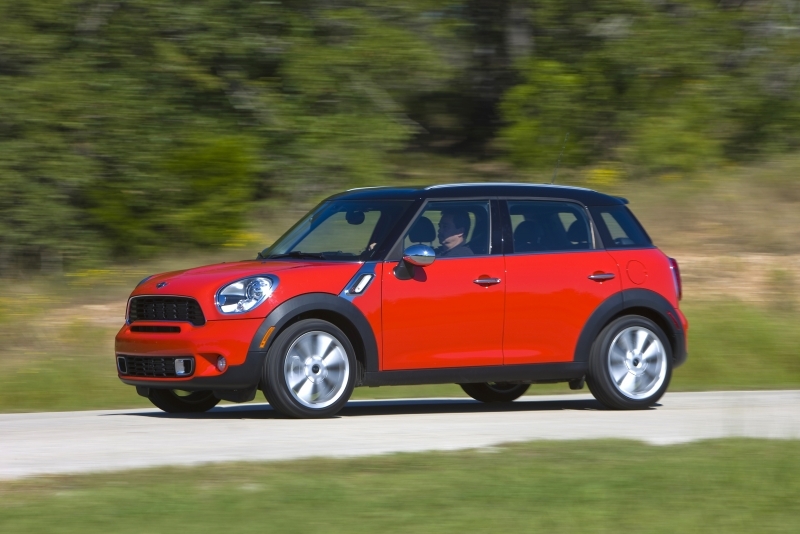 For the first time, a Mini is equipped with all-wheel drive. That little feature makes a big difference in the drive – the car feels grounded, cornering better than in two-wheel drive form. At this car’s price level, standard features run deep. 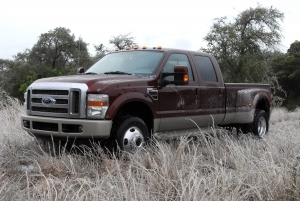 Just a few include HD radio, an auxiliary input jack and a one full year of satellite radio for free. But Minis have always been about options, options, options. Get almost anything you want – for a price. Mini Connected is big news for the Countryman. The system creates a more in-depth iPhone-car connection than any other we’ve seen via access to news and twitter feeds, as well as web radio. It’s fairly easy to get started. You’ll need to download the Mini Connected application on your phone, then you plug the iPhone into the car’s USB port and start the app. The interface is simple and web radio will come in handy after your one-year satellite radio subscription expires. 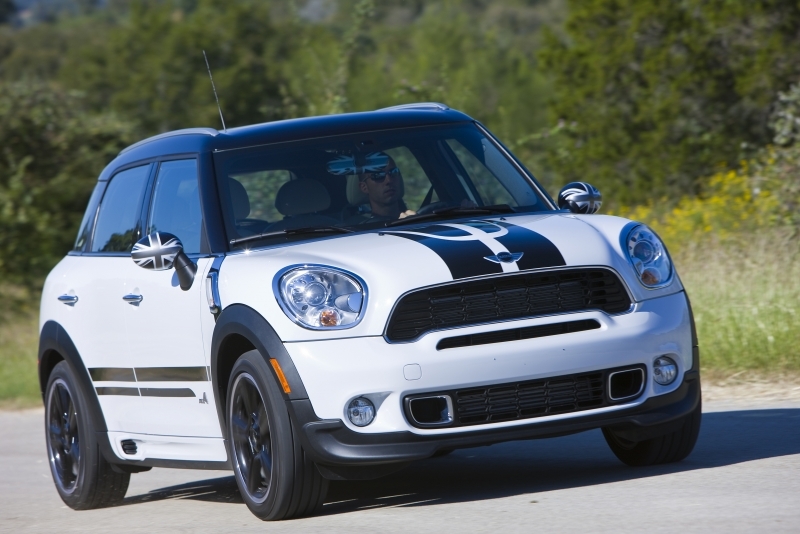 As usual, Mini’s small footprint makes for stellar gas mileage. Because of the slight bump in size, the Countryman doesn’t quite meet Cooper numbers, but estimated fuel economy for the base is 27 mpg city, 34 mpg highway with the manual and 24, 30 for the auto. Opting for the Cooper S brings economy down slightly, with the city mileage coming in at 26 mpg for the manual and 25 for the auto and 32 mpg highway for both. Surprisingly, the all-wheel drive model retains similar numbers. 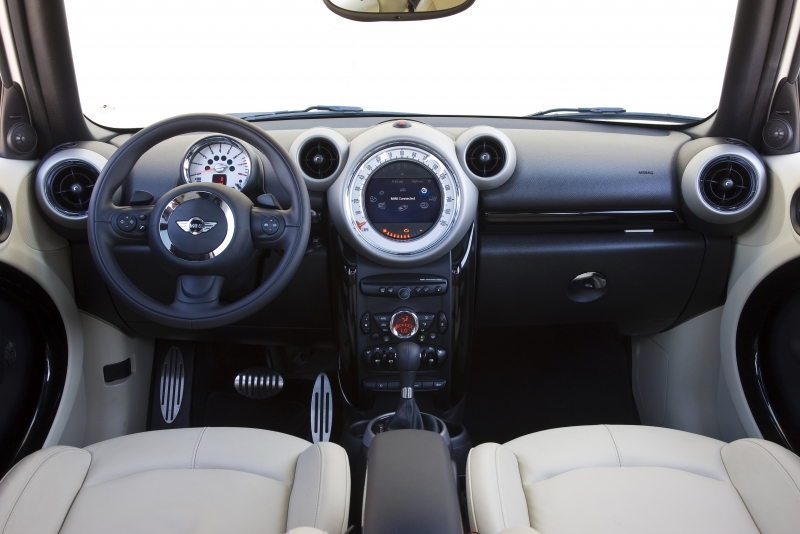 Mini DNA clearly runs through the Countryman, and it may just be the best looking Mini interior of this generation. Four full, comfortable seats all have plenty of room for their occupants – even those well over six feet – and there’s a considerable amount of rear storage space. Circular accents aren’t overbearing, and it’s easy to acclimate to the driver interface. This may be a larger Mini, but the vehicle is in reality only 15 inches longer than the Cooper. Its still small package is eye-catching, especially with the unique body colors, and the end result is that Countryman just looks like an inflated Cooper, not goofy and surprisingly well proportioned. There’s no substitution for the exact Mini aesthetic, though the move into the compact crossover segment does present the Countryman with a few solid cross-shops. The new Nissan Juke ($18,960), Suzuki SX4 Sportback ($17,999) and even the Toyota RAV4 ($21,925) are all on the list. However, starting at just $21,650 for the Cooper and topping out at $26,950 for the All4 Cooper S, the Countryman – from a brand not usually known for its bottom-of-the-barrel price tags – is actually quite a steal. That is, until you get going on the unending list of options. Stay strong! Going bigger is just the thing Mini needed to do to expand their market share, and critics will be impressed with how much of the Mini ethos was carried over to the now largest member of the lineup. It easily has the chops to go up against even bigger competition, but the Mini look and feel will bring a unique set of buyers to dealerships.